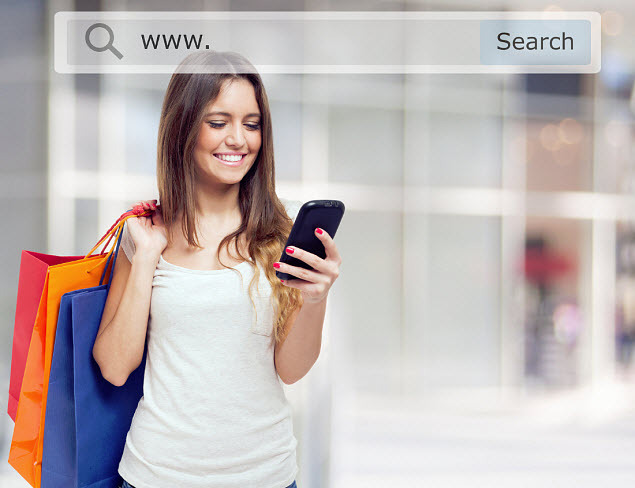 Mobile shopping is driving retail e-commerce sales in the UK. UK mobile commerce will fuel the growth of e-commerce sales this year, says eMarketer. According to the most recent forecast from the independent market research company, retail electronic commerce sales in the UK for 2016 are likely to exceed £67 billion (approximately $88.7 billion). Mcommerce will account for a total of £25.2 billion ($33 billion) of these online sales. E-commerce will represent a 22.6% share of total retail sales in the UK by 2020. In terms of retail digital sales share of total retail sales, the UK is a world leader. Its e-commerce sales are fueled by the impressive growth of smartphone-based buying from UK consumers. Consumers in the United Kingdom have always been fast to adopt digital technologies, including embracing shopping and buying on mobile devices. The $33 billion mobile commerce prediction from eMarkter is an increase of over 25% from 2015. 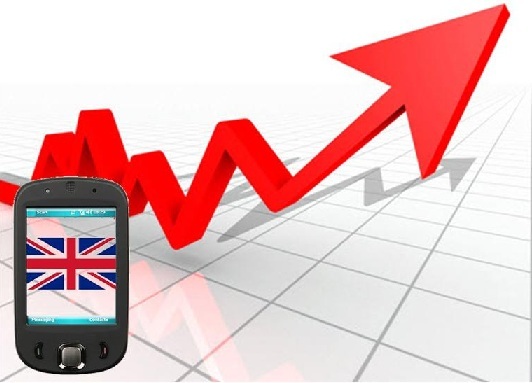 This growth in UK mobile commerce retails sales is expected to continue to grow over the next few years. By 2020, mcommerce sales are predicted to surpass £42.5 billion ($56 Billion). The growing retail ecommerce market in the UK is helping to make up for the decline the nation has experienced in terms of traditional retail sales. Most UK mobile commerce sales come from tablet devices. Presently, tablet devices are responsible for the majority of mobile commerce sales. eMarketer notes that in 2016, £15.8 billion ($19.8 billion) will be spent via tablet commerce. This represents over 62% of total m-commerce sales. While smartphones currently make up only 35.4% of UK mobile commerce spending, by 2020 this is forecasted to change. It is projected that smartphone-based shopping will account for 52% of spending and £22.1 billion ($29.2 billion) sales. Report finds more consumers than expected turn to their mobile devices to handle the bulk of their shopping activity. According to a fourth-quarter 2015 Mobile Wallet Report from Nielsen, 37 percent of participants said their purchases begin with mobile commerce over one-quarter to half of the time. Considering many American’s own smartphones and these devices have become an important part of their daily lives – functioning as a constant companion and information resource – it only makes sense that most people who own these devices would use them as a research tool prior to making a purchase. That said, consumers don’t limit their mobile shopping practices to only smartphones. The report found that there are many tablet shoppers as well. The results of the study revealed that 72 percent of mobile shoppers research an item on their smartphones before buying. What’s more, 70 percent check the price of an item and 60 percent use a store locator to find the store where they can purchase the product that they want. However, the report also discovered that consumers rely on tablet commerce, too. While not used nearly as frequently as smartphones for locating a store (a mere 31 percent to the smartphone’s 60 percent), when it comes to researching an item before purchasing it, 66 percent of respondents said that they used tablets, with 57 percent using tablets for checking the price of an item. Yet, interestingly, when it comes to making an actual purchase via a mobile device, more respondents made purchases via their tablets than smartphones. For instance, 28 percent of participants purchased a service via their tablet compared to 21 percent of participants who used their smartphone. When engaging in mobile commerce, certain factors are important to the consumer’s experience. Nielsen’s report also examined “Factors that are important when shopping on mobile Q4 2015” and – not surprising – found that 62 percent of mobile consumer who took part in the study want a highly visual experience and want to be able to view product pictures above all else when using their smartphone for shopping. Shoppers (48 percent of respondents) also want mobile-friendly websites, while 44 percent of participants said that it was also very important for there to be a product description. Based on these findings, it’s clear that the mobile commerce trend is growing; giving marketers and advertisers who want to reach their desired target market, new opportunities to do so.